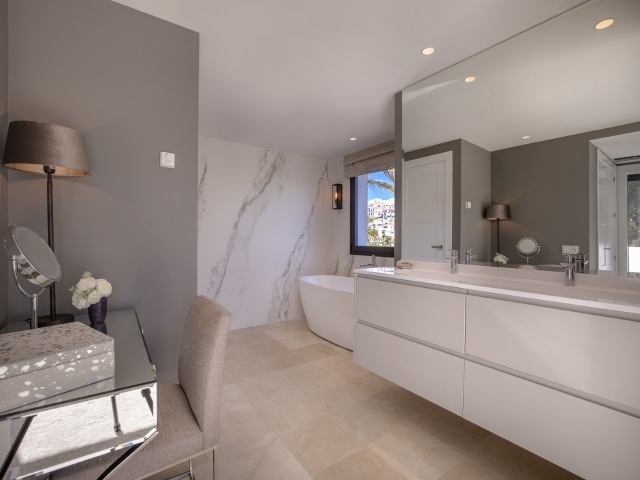 The perfect fusion between classical and contemporary design. 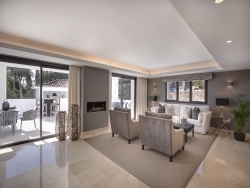 This villa has everything you need to live comfortably. 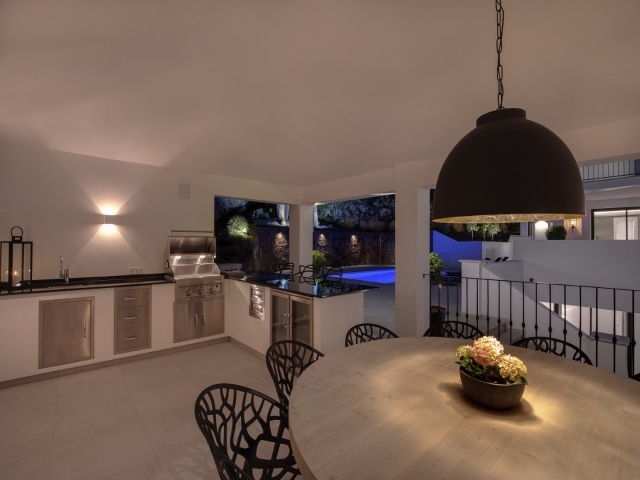 The villa has an elegant entrance with a beautiful illuminated waterfall. 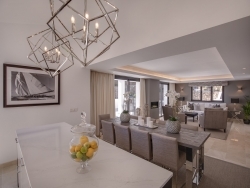 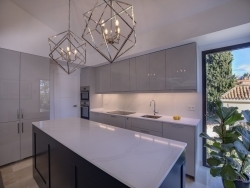 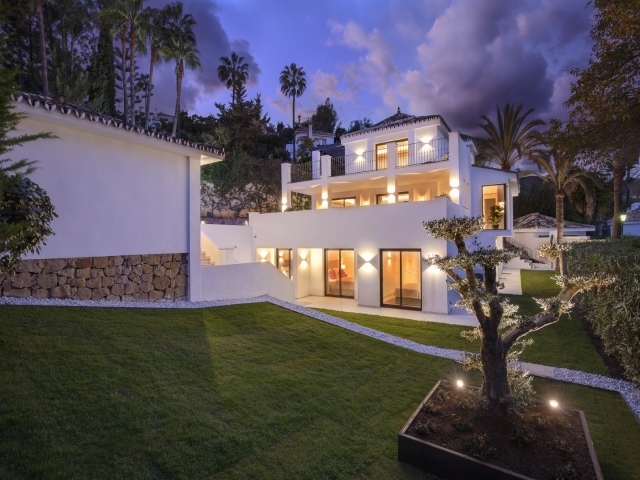 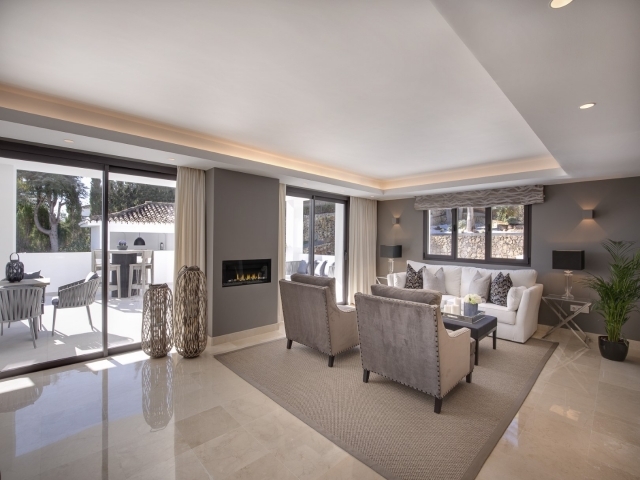 From there, you can enjoy the gardens surrounding the house, designed by one of the renowned landscaping companies of the Costa del Sol, achieving a perfect balance between interior and exterior design. Distributed over three floors that offer generous outdoor living areas. All rooms have direct access to the terraces and swimming pool area. First floor offers a great hall entrance, which connect with a marvellous living room and open plan kitchen, a big terrace, one en-suite bedroom and one guest toilet. 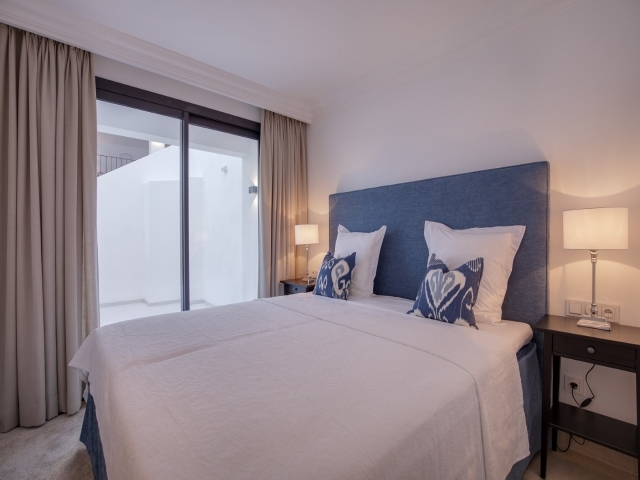 From the terrace you have a fantastic panoramic views and you have access to the garden, the swimming pool, and the lovely barbecue and dining area with a kitchen counter with hot/cold water and refrigerator. 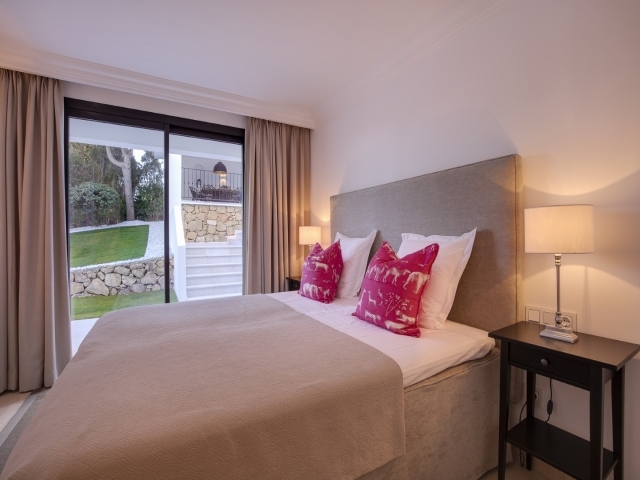 Second floor comprises an elegant master bedroom with a modern design bathroom. 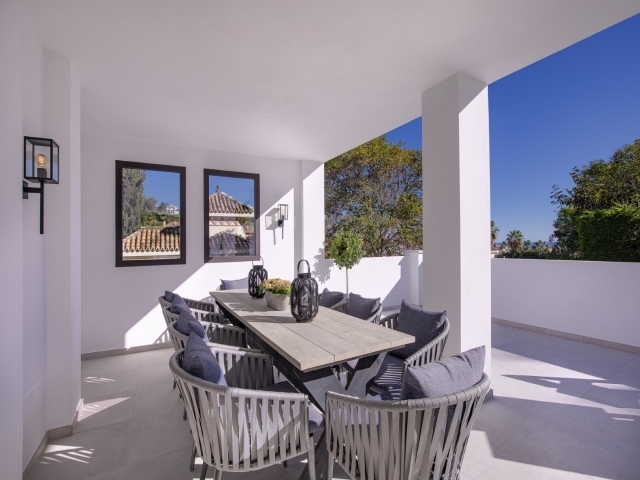 You have access to the big terrace with partial views towards the Mediterranean Sea, La Concha mountain and the garden. 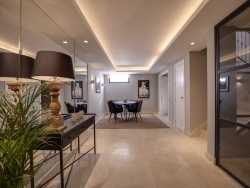 On the lower floor, you will find three en-suite bedrooms plus a big multiuse space consisting of a wine room, large home cinema and games room. 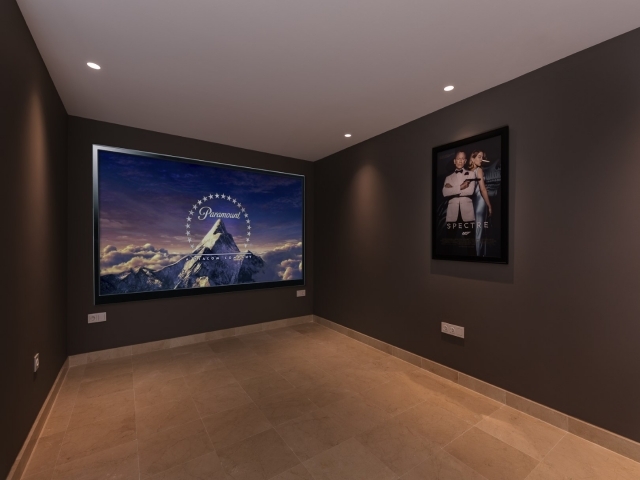 All bathrooms + home cinema and play area have under-floor heating.